In a bid to improve its flagging international standing, the Palestinian terror group Hamas unveiled Monday a new policy document that presents softened language on Israel while still calling for its destruction. The document accepts the idea of a Palestinian state in territories captured by Israel in the Six-Day War of 1967 but dismisses the establishment of the State of Israel as “illegal,” asserting a Palestinian claim to the entire land of Israel, and a so-called right of return for all descendants of refugees. 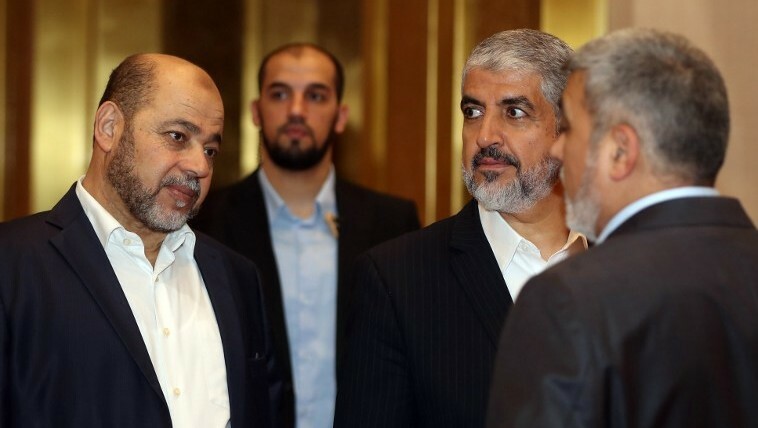 “We wanted to present a document that truly reflects Hamas’s ideology and consensus and to present it to our supporters… and the international community,” Mashaal said. The paper, unlike the group’s founding charter, which is rife with anti-Semitic language, also says Hamas’s struggle is not against Jews per se but against Israel as an occupier. 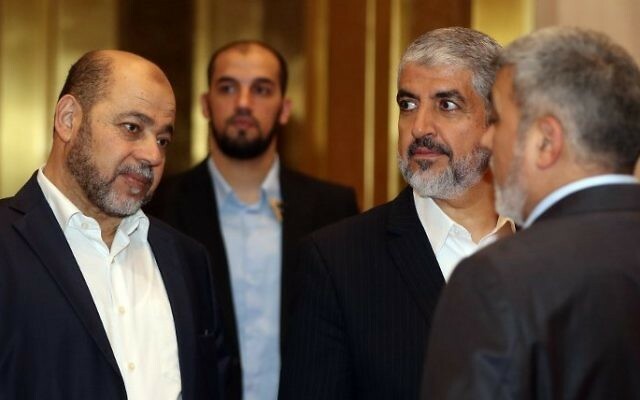 Hamas officials said the document, which reserves the right to wage “resistance and jihad for the liberation of Palestine,” in no way amounts to recognition of Israel. 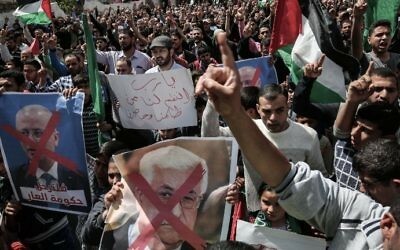 The group, which controls the Gaza Strip, remains deeply divided from Fatah, the more moderate party of Palestinian Authority President Mahmoud Abbas, based in the West Bank. Hours before Hamas presented the new document, Israel preempted it to say that while the group may be seeking to put on a friendlier face, it still practices genocidal policies. 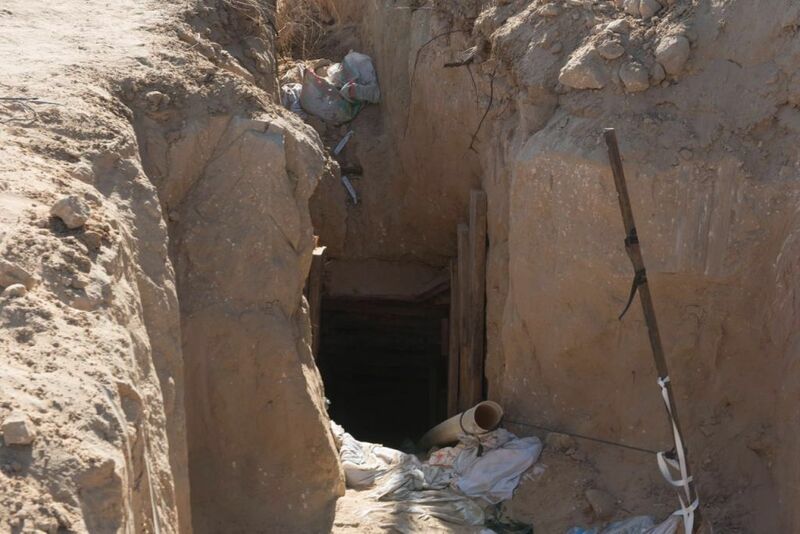 “When Hamas stops building tunnels and spends its resources on civilian infrastructure and ceases educating toward killing Israelis — that will be true change. 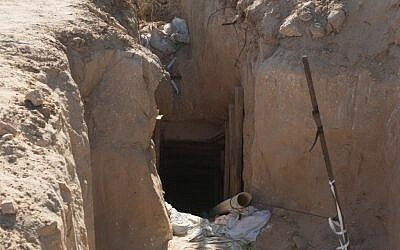 But that hasn’t happened,” a statement issued by Prime Minister Benjamin Netanyahu’s office said. “Hamas is attempting to fool the world, but it will not succeed,” David Keyes, a spokesperson for Netanyahu, told The Times of Israel. 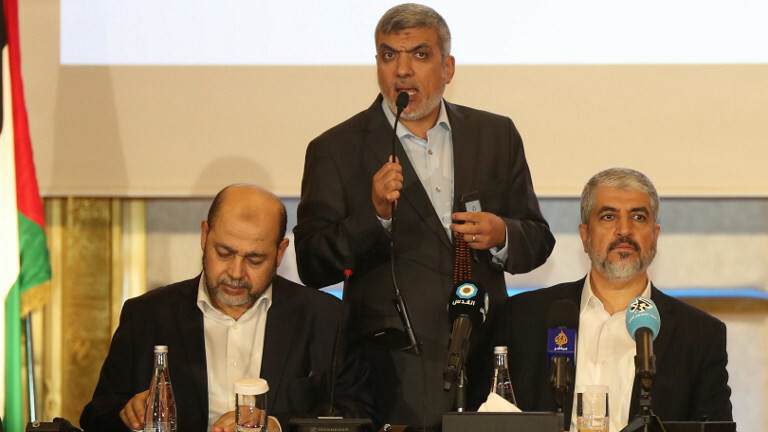 The new platform, which was posted online in English, was presented at a time of escalating tensions between Hamas and Fatah. Hamas drove out forces loyal to Abbas in its 2007 takeover of Gaza, a year after defeating Fatah in Palestinian parliament elections. Reconciliation efforts have failed. 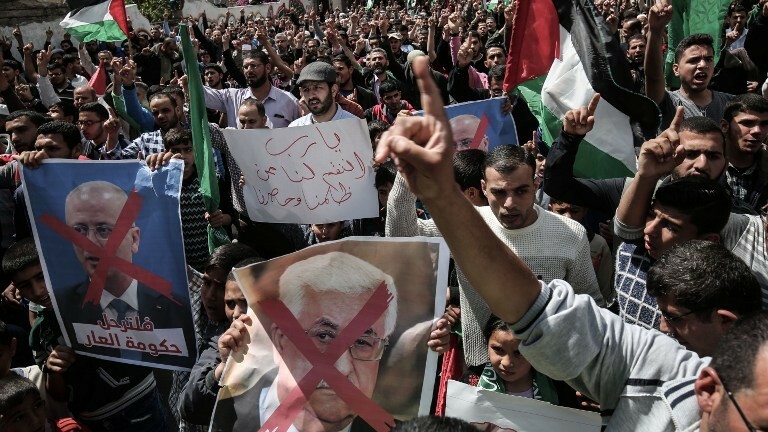 In recent weeks, Abbas has threatened to exert financial pressure, including cutting wage payments and aid to Gaza, as a way of forcing Hamas to cede ground. Leaders of the group have vowed they will not budge. The war of words with Hamas was seen as an attempt by Abbas to position himself as a leader of all Palestinians ahead of his first meeting with US President Donald Trump at the White House on Wednesday. The president has said he would try to broker Israeli-Palestinian negotiations on a peace deal, despite repeated failures over the past two decades. In the past, Hamas has sharply criticized Abbas’s political program, which rests on setting up a Palestinian state in the West Bank, Gaza Strip and East Jerusalem, lands Israel captured in the 1967 Six Day War. In its 1987 founding charter, Hamas called for setting up an Islamic state in historic Palestine, or the territory between the Mediterranean and the Jordan River, which also includes Israel. With the new manifesto, Hamas also rebrands itself as an Islamic national movement, rather than as a branch of the pan-Arab Muslim Brotherhood, which has been outlawed by Egypt. It’s not clear if the changes will be enough to improve relations with Egypt, which along with Israel has been enforcing a crippling border blockade against the Gaza Strip, officially in order to prevent the smuggling of weapons. Hamas has also been shunned by the West, which has set recognition of Israel and renunciation of violence as a condition for ties. Associated Press reporter Fares Akram, the agency’s Gaza correspondent, said on Twitter that the Intercontinental Hotel canceled the event for fear of US Treasury Department sanctions. The press conference was also broadcast live in the Gaza Strip.